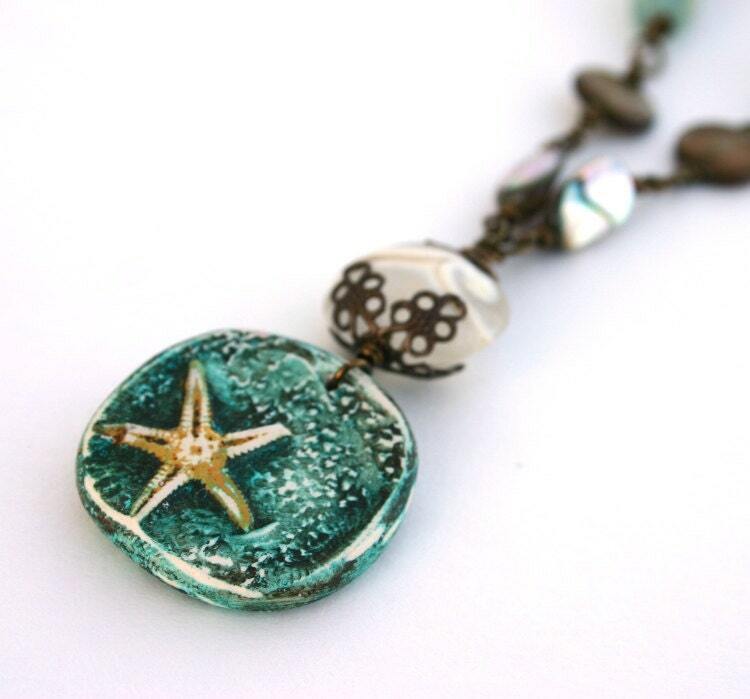 I recently purchase one of the humblebeads grab bags, and was so happy to find a cute little starfish pendant in it. It was perfect for the "Inspired by the Sea" challenge. I paired it with some beachy artisan lampwork glass beads from Etsy's GlassbyLeese, some gorgeous aquamarine nuggets that were a gift from my sister Lori, abalone shell, bronze colored mother of pearl, and some antique brass findings. And, the icing on the cake - I was able to take decent pictures of the piece this morning. Turns out the white balance setting on my camera had gotten set to the wrong setting. I'm so glad I discovered that! This turned out lovely! 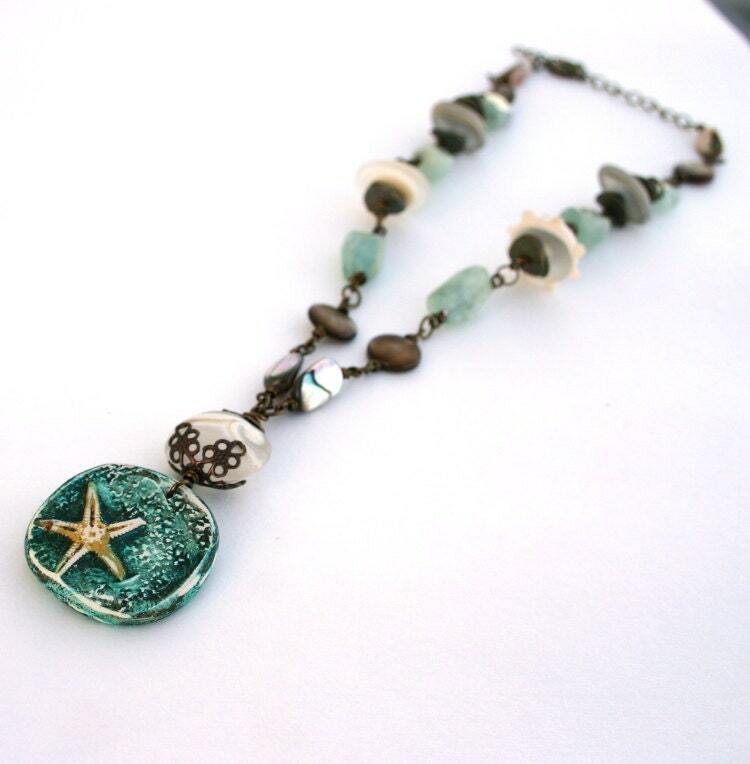 The mix of stones, pearl and brass with the starfish pendant is perfect. Welcome to the world of blogging!! !